Buy wunderhase a Coffee. ko-fi.com/wunderhase - Ko-fi ❤️ Where creators get paid by fans, with a 'Buy Me a Coffee' button. German cartoonist drawing furry related cartoons, comics and illustrations. 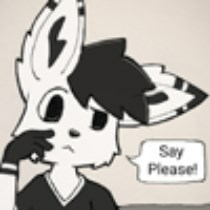 You can order the Webcomic to appear once a month into your Inbox, including updates and from time to time some additional Stuff. Just send a mail with „subscription“ to email@wunderhase.de Its Free and you can end the subscription at any time. Secured Payments. Support goes to wunderhase's account. Upgrade wunderhase to a yearly Gold Membership with a one-time payment.